Lil Taste of Heaven - 1 lb. 4 oz. 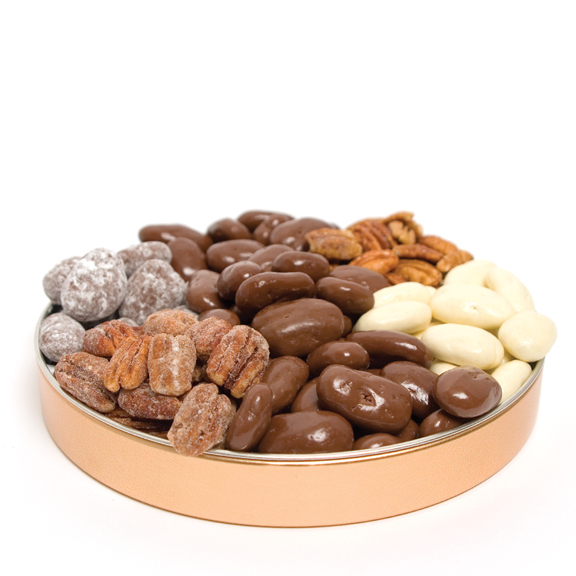 Gift Tin, Gifts: Oliver Pecan Co.
A heavenly combination of our best selling pecans fill this keepsake gift tin. The sampler comes with Chocolate Pecans, Chocolate Amaretto Pecans, Dark Chocolate Pecans, White Chocolate Pecans, Honey Roasted Pecans, Chocolate Toffee Pecans and Creme Brulee Pecans. This gift is perfect for friends, family and clients.